Three‐handled jar (sanjiko) with triple color glaze. 19th cent. 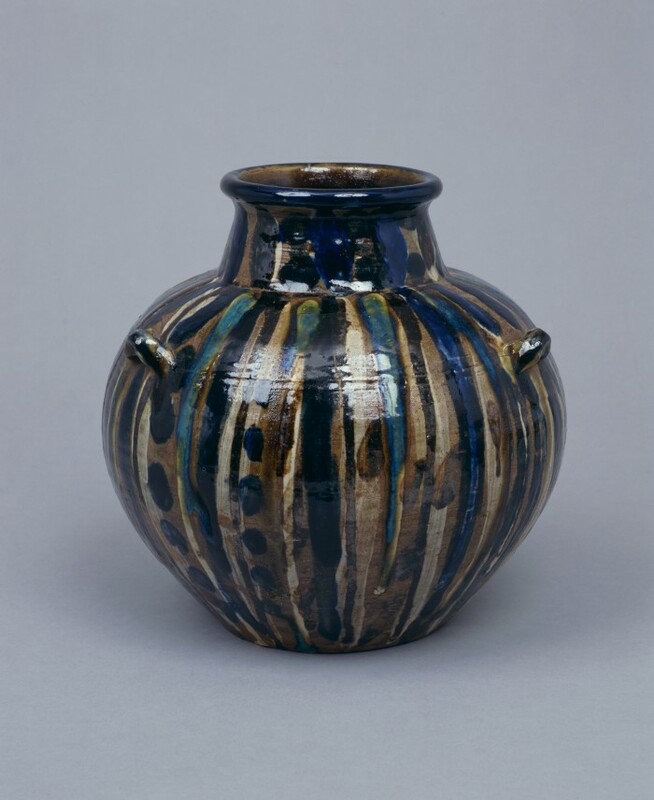 This is a jar of TSUBOYA ware with three handles around the shoulder. Its belly is ball-shaped, and it was made on a wheel. The jar has a flat bottom, and its foot is carved to make shallow. It is coated with glaze inside and outside, and attached white clay on the outer surface in stripes. Green, indigo blue, and brown glazes were applied from the rim with astragal to whole belly in stripes.